Visualize locating your company amongst one of the most spectacular natural settings in the region. Redeveloping between the Cascade Mountains and Puget Sound in the emerging Snoqualmie Mill business center. Join the evolving history of one of Washington’s historical industrial sites. Snoqualmie Mill offers land to purchase and build to suit opportunities in this environmentally respectful business park. A location that offers an abundance of natural amenities providing a balance of work, life and recreation in the seasonal beauty of the Pacific Northwest. Sign up for updates on what’s happening at Snoqualmie Mill. The Snoqualmie Mill property development has been created to offer a new area for thriving and new businesses on Seattle, Washington’s Eastside. With commercial real estate space becoming more and more scarce in the areas of Seattle, Bellevue, Redmond, Issaquah and the rest of King County, the Snoqualmie Valley is the ideal location for businesses to move their headquarters, offices, manufacturing or light industrial ventures. King County, and more specifically, the Eastside has seen an influx of new successful businesses that have bred growth around the area. 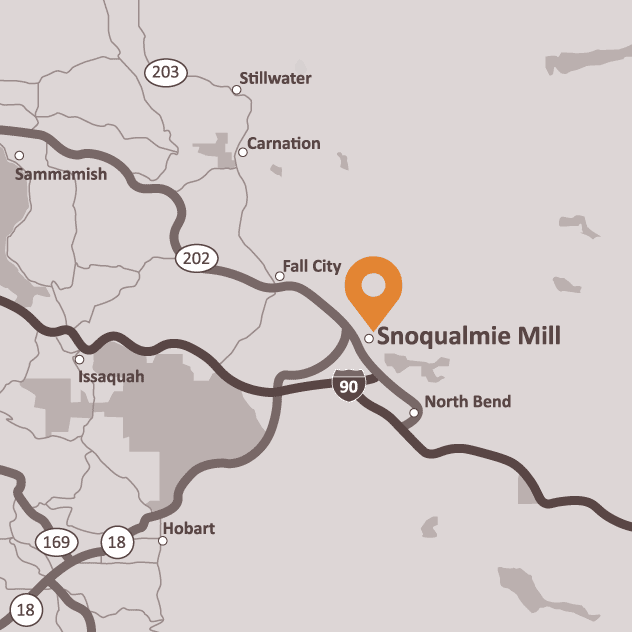 The Snoqualmie Mill property is the perfect modern business park that features vast amounts of land and acreage for your company’s next campus. Not only will you be able to run your business from this lot, we are uniquely offering the opportunity to live where you work with plans for condos and apartments that are conveniently located near great hiking, a beautiful valley and unbelievable mountains, great schools, and education centers to maintain your Pacific Northwest Lifestyle.